On a cold day, come inside to a warming batch of vegetable soup simmering in Le Creuset's round Dutch oven. It's this versatility that makes it a staple in the kitchen. This updated kitchen classic enhances the cooking process by evenly distributing heat and locking in the optimal amount of moisture. 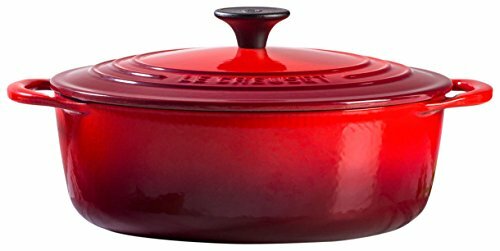 With ergonomic handles and an advanced interior enamel that resists chipping and cleans easily, Le Creuset's Dutch ovens blend the best of the past with the latest innovations in comfort and functionality.